Q & A Saturday – Can I Sell a House with a Dated Electrical System? In this video Shaun talks about some of the issues that come up when trying to sell a house that has old electrical work. Many homes have older electrical elements in them, especially houses in older areas like Massachusetts and New Hampshire. 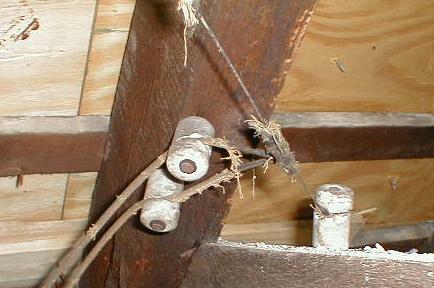 These older electrical systems do not meet modern building code. Many are perfectly safe but others do pose safety concerns. Even those that have been safe pose concerns to buyers that are not sure if they are safe as well as lenders that might not lend on these properties as well as insurance companies that might not issue policies on these houses. The biggest issues come from Knob and Tube Wiring then having Fuse Boxes and finally the other big one is Federal Pacific Electrical panels. Knob and Tube wiring is probably the safest of the 3 and is the one that causes the most issues. It is easy to see if it is exposed and it is VERY old and was not designed for today’s high draw electronic devices. However you do not actually hear that much about fires resulting from these elements. However buyers are spooked by it and MUCH more importantly some lenders will not issue a loan where it is noted on an appraisal and now most insurers will not issue policies with known knob and tube, which will also indirectly result in not being able to get financing on the property as no bank will give a loan that does not have property insurance. The next biggest issue comes from having a fuse box. Pretty much all the same issues above except they are slightly more dangerous. Not really but they are easier to setup unsafe situations such as putting a fuse with the incorrect load in a slot or the old sticking a penny behind the blown fuse to keep the circuit going (but with no protection now). Other than being slightly more dangerous the financing issues and insurance issues are not as bad as knob and tube, yet. The financing and insurance issues do come up but they are much more hit and miss. If you can get insurance you might have a much higher premium or you may be given a time limit (often as little as 30 days) to replace the fuses or have your coverage terminated. Finally the last major issue is Federal Pacific electrical panels. This company was a very large supplier of electrical panels from the 50s to the 80s. Ironically this last one is probably the most dangerous problem as these have shown to not work well and can be a distinct fire hazard. Now with these the biggest issue will be a buyers concern if they know about them or if they have a good home inspector that points it out to them. At this point I have only heard a few examples of there being major financing or insurance issues because of these panels. I have heard it come up but at this point it is not nearly as common as the other issues. Do you want to sell a house with older electrical elements that could hamper your sale? Do you need to sell a house in Massachusetts or New Hampshire and are not sure if these electrical issues will kill your sale? If you would like to sell your home fast and hassle free schedule a consultation with us today. – Last Week’s Video on Selling a House with Unpermitted Work. – Our Video on Selling a Home As Is. – Our Video on Selling a Home with a Failed Septic. – Our Video on Selling a Home with Fire Damage. – Our Video on Selling a Home with Mold. – Our Video on Selling a Home with a Damaged HVAC. – Our Video on Qualifying Your House for an FHA Loan. – Our Main Article on Qualifying Your House (and Buyer) for an FHA Loan.